24 May 2018, San Diego, CA – In the buildup to Sunday’s 102nd running of The Greatest Spectacle In Racing, INDYCAR, the sanctioning body of the Indianapolis 500, has partnered with leading sponsorship valuation provider, Hookit. 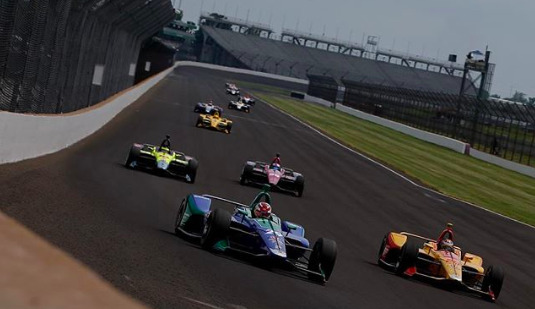 Through the long-term partnership, Hookit, now the Official Data Supplier of INDYCAR and Indianapolis Motor Speedway, will provide insights and evaluation for INDYCAR on the performance of its events and promotional campaigns for its sponsors. INDYCAR teams and sponsors are encouraged to reach out to sales@hookit.com to learn more about the partnership and platform. INDYCAR is the governing body of: the Verizon IndyCar Series, the premier open-wheel racing series in North America; the Mazda Road to Indy presented by Cooper Tires development ladder, which includes Indy Lights presented by Cooper Tires, the Pro Mazda Championship presented by Cooper Tires and the Cooper Tires USF2000 Championship powered by Mazda; and the Battery Tender Global MX-5 Cup presented by BF Goodrich Tires. INDYCAR events are available to a worldwide audience through a variety of multimedia platforms, highlighted by broad-reaching partnerships with ABC and NBCSN. INDYCAR is continually at the forefront of motorsports innovation with drivers, teams and tracks benefiting from safety and technological improvements such as the SAFER Barrier, SWEMS wheel and chassis component tethers, chassis enhancements, advanced aerodynamic bodywork kits, high-definition in-car cameras and E85 ethanol fuel.